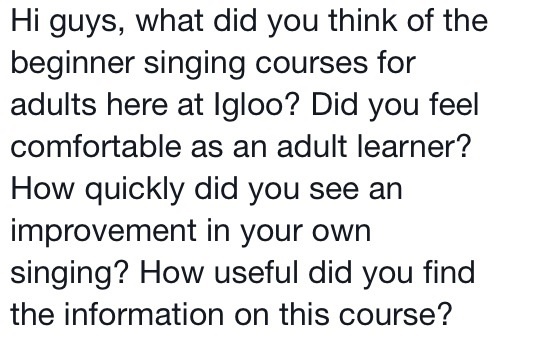 Join us to learn to sing, starting with our beginners group for adults including all course materials and tuition. 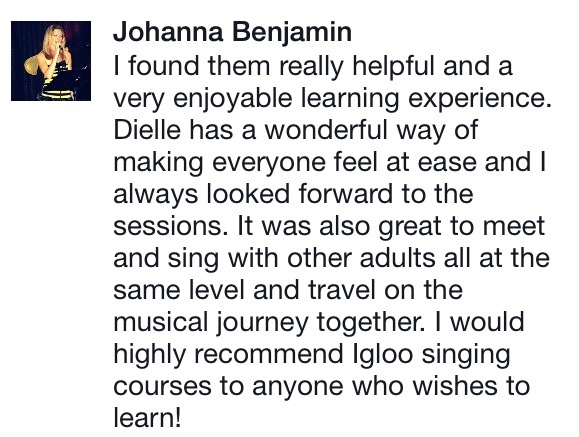 This course will help you develop confidence, skill and knowledge to start you singing with enjoyment! 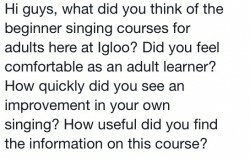 This course, as an introduction to singing, was designed for adults who wish to sing for pleasure or recreation, and will teach you how to produce healthy, and therefore a pleasing, sound. Groups are available on Monday and Wednesday evenings in Wickham, and Saturday mornings at Nevada Music. Please check the calendar for start dates and full dates for each course. 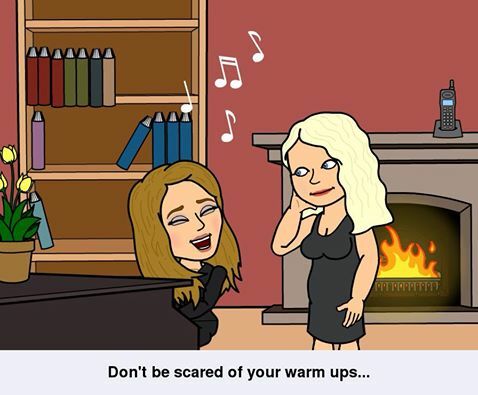 If you would like to chat about your singing objectives, please contact us – we’d be very happy to answer any questions you might have. Cost : From £85 for 6 week crash course and fast track into intermediate training. 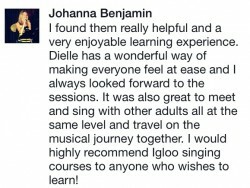 Includes all training materials and Vocal Training CD value £10 (CD included when all 6 sessions are purchased directly from Igloo Music UK. Does not apply to 3rd party deals).